This piece was originally published on GOXI and has been republished here with permission of the author. 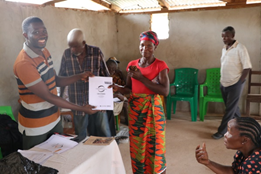 To generate buy-in, Accountability Lab Liberia carried out a comprehensive and inclusive stakeholder mapping process that included everyone from village chiefs and youth groups to government officials and concession company staff. Through survey questionnaires, CFAs recorded awareness and understanding of provisions set forth in the Mineral Development Agreements (MDAs) in over 7,500 interviews. The critical differentiator between running an information campaign (which may have led to greater transparency but not accountability) and a feedback platform (which seeks to ensure accountability) starts with gathering citizens’ questions and identifying information gaps – and then closing these gaps with validated information. The team faced a number of challenges while collecting data from communities – again, mainly rooted in distrust at the community level. It addressed these trust challenges by ensuring that all the CFAs were recruited directly from the communities- so citizens were familiar with them and their local ties allowed them to understand the validity of information. It gathered information from people in locations where they felt comfortable and not necessarily in formal settings (see picture by Otis Bundor:CHD members visit a farm for awareness raising). Accountability Lab was able to build trust over time through repeated interactions – continually reporting back to communities. Creative communication around the project was essential to keep citizens engaged. Accountability Lab Liberia organized an accountability incubator to bring young people with good ideas into conversations and actions on these issues; Radio DJs used infographics for conversations on air; young musicians in the communities were mobilised through a “rap2rep” music competition (Songs bei Lyrical D); and advocacy films were developed on resource governance issues. For successful awareness campaigns a communications strategy has to be multi-faceted- bringing together a variety of tools. This reinforces the messages and further builds trust. As a result, the surveys showed that the understanding of the MDAs among the community rose dramatically from as little as 20% to over 80%. This is directly attributable to the awareness-raising measures. Finally, managing expectations within the communities is critical. At each step of the project, CFAs reinforced their role as information collectors and connectors instead of problem solvers. It was made clear that the benefit for citizens was the shared basis of understanding and collective ideas for solutions to shared problems – and that those were most effectively addressed by the concession company and community themselves. Over time, this began to happen. 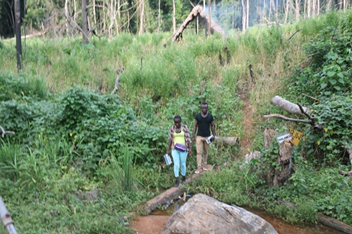 For example, the concession company in Bea Mountain made a whole host of changes including cleaning up local water sources, building a health clinic and housing, providing stipends for education and rehabilitating local roads. 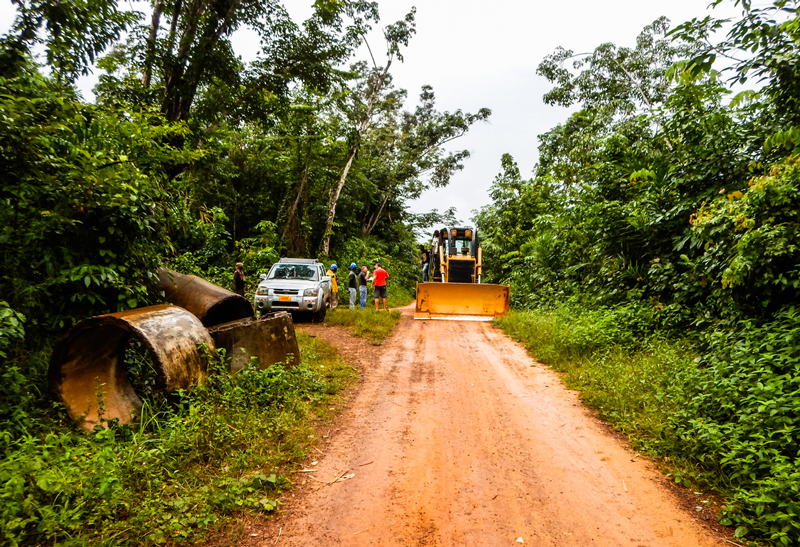 At the start of the project in the MNG Gold mining area, there were as many as three violent protests a month. After having engaged the community, this number decreased to just four in total over the course of the year. Accountability Lab Liberia and GIZ are open to any feedback or ideas on how this work on local governance can be improved. Please feel free to reach out to @accountlab, to Otis S. Bundor ([email protected]), the Citizen Helpdesk Manager at Accountability Lab Liberia or Kim Rahel Schultze ([email protected]).